A stunning, modern and stylish two-bedroom ground floor apartment set in peaceful grounds only a short walk from the town centre and a stroll to Derwentwater and Theatre by the Lake, with allocated parking. There is a secure external entrance with entry answer phone. The front door leads to a hallway with store cupboard, coat hooks and shoe storage and there is a shelf of lake district books and guides. The south facing lounge/diner benefits from plenty of light streaming though the patio doors which opens out onto a small patio area in the well maintained communal grounds. It is spacious and tastefully decorated. It has comfortable corner sofa and complimentary leather lounge chair, rectangular dining table and chairs, Smart TV, DVD, and digital radio with i-pod dock. The kitchen is well equipped with new units and an excellent range of utensils and integrated equipment; a refrigerator with freezer compartment, washing machine with tumble drier, gas hob and electric oven, microwave, and dishwasher. 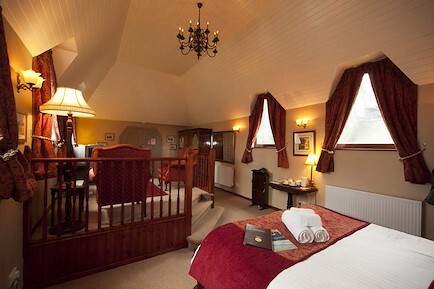 Bedrooms consist of a large double room with king size bed, TV and oak wardrobe and drawers. The second bedroom is a single with plenty of space. All beds have duvets and linen is provided. The fully tiled bathroom has a bath with electric shower over, toilet, wash hand basin and shaver point. Hair dryer also provided. Guests generally bring their own towels (arrangements can be made for towels to be provided if required). Your enquiry will be sent directly to Greta Grove House no. 13. Please fill in as much detail as you can.